Discounts are good in life specially on something expensive like Samsung Galaxy On5. But some times it comes with a cost. 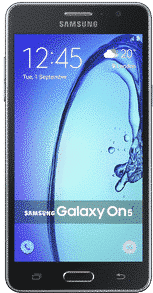 If you got some subsidy on your Samsung Galaxy On5 because you bought your Galaxy On5 from T-Mobile network carrier than that will transcribe in to sim locked T-Mobile Samsung Galaxy On5 e.i. you didn’t buy T-Mobile Samsung Galaxy On5 unlocked and now you can’t change your network and because of that the resale value of your phone is decreased because of limited functionality. Now you can solve this issue by getting T-Mobile Samsung Galaxy On5 sim unlocked and we can assist you on that. You are not gonna unlock T-Mobile Samsung Galaxy On5 for free but with us this service is very cheap and hassle free and you’re not gonna regret it. How To Unlock T-Mobile Samsung Galaxy On5? The best way to sim unlock Samsung Galaxy On5 is by T-Mobile Samsung Galaxy On5 Device Unlock App Solution. Its official method in which you don’t have to worry about any thing and don’t have to do any thing except place the order. After receiving your order and processing it you’ll have Samsung Galaxy On5 sim unlocked. How To Order Unlock App Solution For T-Mobile Samsung Galaxy On5? 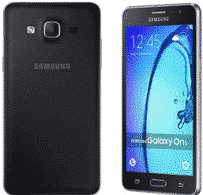 Ordering Samsung Galaxy On5 network Unlock App Solution is easy. Just select your network from drop down menu, than write your IMEI and check it twice for mistakes, than write your email address and name and after carefully writing all the information press buy now. How To Unlock With T-Mobile Samsung Galaxy On5 Unlock App? So after we’ve received your order we process it and then send you an email with Samsung Galaxy On5 Unlock App Solution confirmation. After that e-mail turn on LTE or Wifi in your galaxy on5 and open the device unlock app (you can find unlock app by going in to settings then applications, its a pre-istalled app), in device unlock app select permanent unlock, the galaxy on5 device unlock app will process your request and after processing is done you’ll get T-Mobile Samsung Galaxy On5 network unlocked and ready to use any where. If you unlock your T-Mobile samsung galaxy On5 the benefits would be you wouldn’t have to pay roaming fees or select expensive cellular packages because you can easily migrate to any other network. And the value of your unlocked galaxy on5 will increase consistently. You can check more benefits of unlocking your phone here. There is no risks in this unlocking process because its the only official unlocking process and you don’t have to attach your phone with your computer and sit for hours trying to find loop holes in the system manufacturer has put in your phone. You can read more on risks involved in unlocking process here. Why Unlock Your T-Mobile Samsung Galaxy On5 By LetsUnlockPhone.com? On LetsUnlockPhone.Com, we put our heart and soul in to customer satisfaction and do our best to serve you. We are specialist when it comes to unlocking phones with unlock app whether your phone is from T-Mobile, metropcs or EE(england).